Having a an almost 5 year old can be a little tough on the car seat front. Yes safety is my main priority, but Tyler doesn’t want to feel like he’s in a baby seat. He’s also quite tall and complains that a lot of the car seats hurt his shoulders as the head rest sticks out where his shoulders meet. I looked for something that would meet both our needs, in terms of safety, comfort and looks. Low and behold Britax came to the rescue again. We got Tyler the Britax KIDFIX XP SICT. This car seat is said to be the most comfortable group 2/3 car seat yet and coming from Tyler they are not wrong. He loves it. It doesn’t hurt his shoulders, the strap doesn’t rub his chin, like his last one and it looks more like a big boy seat. This car seat fits children from 15kg-36kg, which is about 4-12 years, so it’s a long lasting investment. Nothing worse than getting a car seat for it to last less than a year. The fabric is machine washable too, which is great if your child is anything like mine and vomits in the car on the odd occasion. 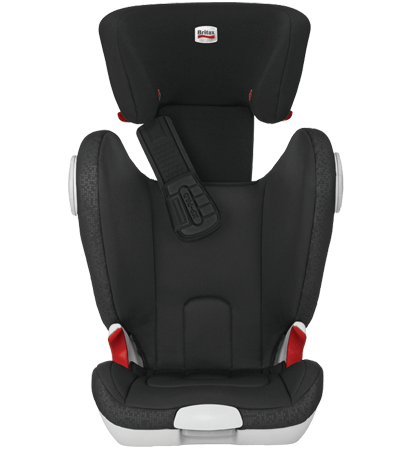 The KIDFIX XP SICT has new safety features built in, one being a revolutionary energy absorbing seat belt pad and a new adjustable side impact cushion technology (SICT) system for superior side protection. 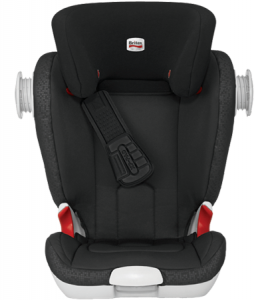 In terms of safety, if you happen to be in a head on collision the cushioned seat belt pad, which is called the XP-PAD take the force of the crash away from your child’s chest, the child’s head then comes forward and their neck is supported due to the fact their chin hits the compression cushion. There is also a side impact cushion which helps reduce side impact should you be in this type of crash. This is only required to be activated on the side where the door is as this is where the child would potentially be hit from. It is simple to use you just twist it out. It’s situated just below the head support on each side. I love having a car seat that is able to click into the ISOFIX settings of our car, I feel it make the car seat more secure in general and doesn’t move about when the child is coming in or out. Thankfully the KIDFIX XP SICT has this and fits into the ISOFIX settings using the ISOFIT. There is also a handy little flip out plastic pocket type thing which can house the instructions, just in case you ever have to move it to another car, etc. What I love most about this car seat is that the head support part expands really easily, there is no fiddling with taking bits off to get to the section, there is a large button at the back you press in and pull the head support up to where you want it to go. Easy peasy. Tyler loves this car seat and finds it so comfortable, that’s a win for me. Hopefully we will never need to use the type of safety technology this car seat has, but it’s good to know it’s there if the worst should happen. For further information check out the Britax Website, Facebook and Twitter page. Also you can find out where to get your car seat fitted at Britax Car Seat Fit-Finder.